Happy Wednesday! I am so tired of hearing everyone complaining about their snow….seriously people. There are people here who have not had one good snow this year….and desperately want it. Ugh. 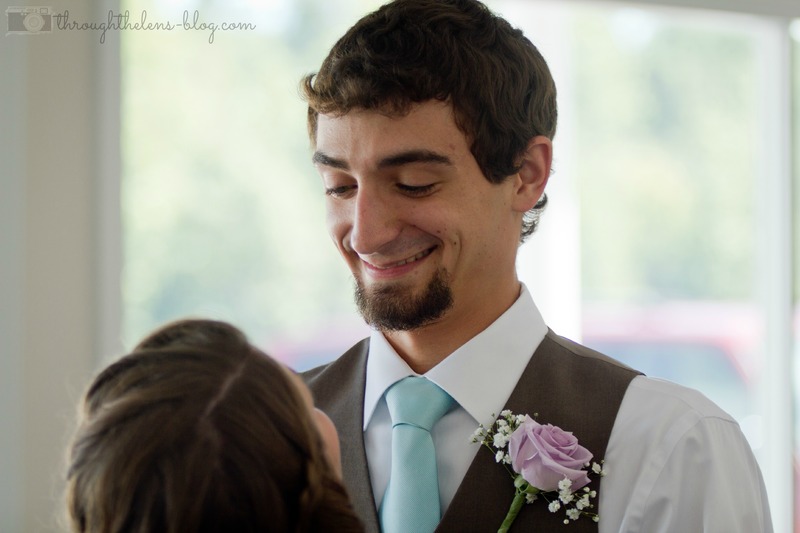 Today I want to share with you Luke’s first look at me on our wedding day– before the ceremony. I also want to share some reasons why it’s good to have a first look before the ceremony. First off let me say, this is a very personal decision and the best answer to this question is to do what feels best to you. 1 // Nerves. Seeing each other before the ceremony always, always, always calms nerves. Most couples who have a first look say they would recommend it to anyone getting married and also makes your feel more relaxed for the ceremony. 2 // Alone time. The First Look is designed so that the moment is only shared by you and your photographer. The benefit of the First Look is that you are alone and it’s private. You can actually talk to each other and tell each other how excited you are to get married. You can do whatever feels right. The First Look is often the only alone time you’ll have all day, so it’s a great opportunity for some quiet time together. 3 // Timeline and portraits. 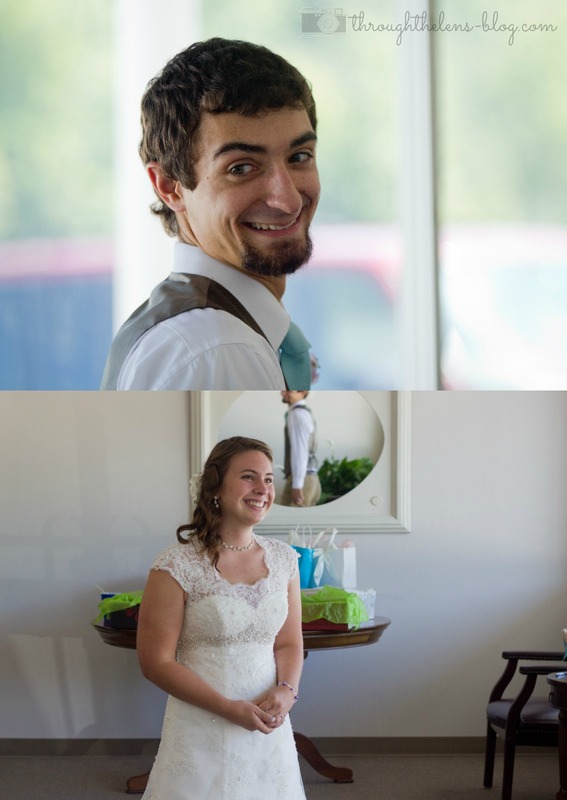 If you decide to see each other before the ceremony, you have the opportunity to take your formal portraits after the First Look. Having a First Look can save you time and money – if you wait to see each other until the ceremony, you’ll likely spend 30-60 additional minutes on portraits. By having all of your portraits completed before the ceremony, your photography timeline will be more streamlined and you can focus more of your photographer’s time on what’s important to such as getting-ready shots, reception coverage or your grand exit. 4 // Spend more time with your guests. 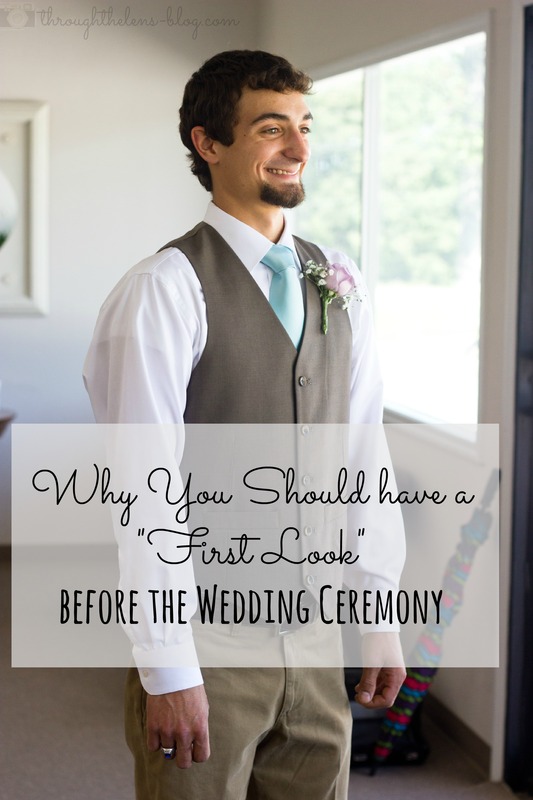 Since you’ve had a First Look and you’ve taken all of your portraits before the ceremony, you can head to the reception immediately after the ceremony. You’ve spent months planning your wedding and a lot of those plans have focused on the reception and celebrating your marriage. By having a First Look, you ensure that you’ll get to spend more time with your guests! Did you have a “First Look” before your ceremony? Yes! I always look at the groom, too. So sweet! Aww what beautiful photos from your first look!! We did not do a first look, but I always love seeing bride and grooms’ reactions in photos 🙂 Thanks for linking up with us this week! Thanks for this, and beautiful pictures. As a day-of-wedding coordinator, I have seen many couples do the first look and many others who are adamantly against it, I personally agree with all of your points on why it is awesome! I an happy to have found your blog. These are such sweet moments. 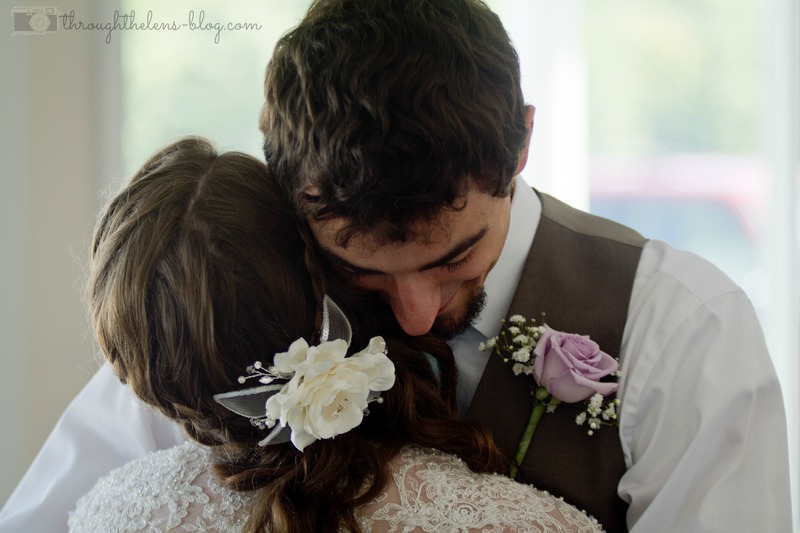 We are having a first look for all of these reasons, it is a special time with you and your groom, and I can’t wait to have those few minutes of it being just us. Thanks for linking-up with us today! Such a sweet first look! We didn’t have one, but did have a fake one around a corner so we got to talk and have a moment together before the ceremony. What a sweet story was told with those pictures. I must remember to look at the groom at weddings. I am certain I would be delighted to see the look on their faces!